Hempcrete is very versatile natural building product. 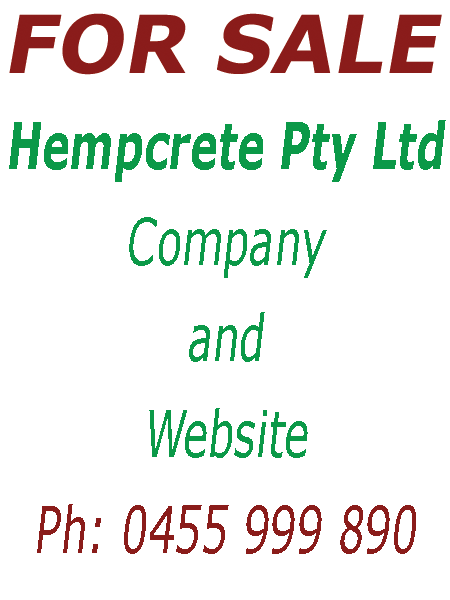 Our company is focused to make hempcrete a truly commercially viable and accessible product. Whether commercial, industrial, retail or domestic, buildings built with hempcrete are comfortable, efficient and healthy. Kevin McCloud of the Grand designs television show shares his opinion about hempcrete here. HEMPCRETE has no equal as a natural building product, sequestering carbon dioxide for the life of the building. Created by simply combining water, hemp aggregate and a lime-based binder it produces a building product with excellent thermal insulating and acoustic properties. The insulation forms the entire wall with the load bearing timber frame fully encased. 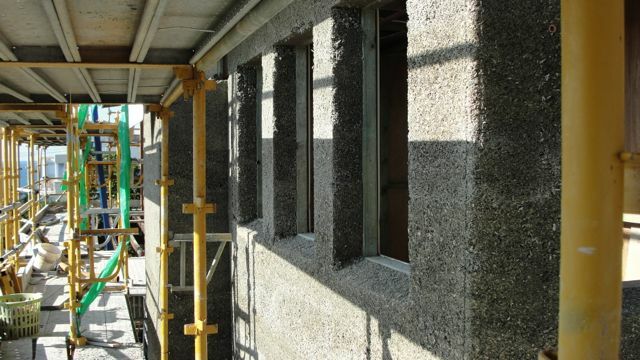 Hempcrete is not just an insulator - it buffers temperature and humidity, prevents damp and mould growth, making the building a comfortable healthy environment. "IT IS A BIT DEARER, BUT A LOT BETTER!" Hempcrete buildings last as long as a castle and save energy for ever. It is fire and termite resistant, lightweight and forms a hard wall surface yet is vapour permeable to help reduce humidity and prevent condensation - a truly natural product. People that live in hempcrete houses do not need to run airconditioners or heaters all day to keep a comfortable home. Regular insulation requires constant energy input - hempcrete doesn't. The way energy costs are rising, that's a massive yearly cost saving through power conservation. At the same time, less energy use, less pollution AND carbon sequestration by hempcrete - your hempcrete project will be carbon negative. Signup to our Newsletter here! Owners call it HEMP HAVEN! "...Our Hempcrete music room is super cool - not just FANTASTIC but, really cool, literally - today it's 42 outside in the sun (Conondale, Qld) and a gorgeous 22 inside our Hemp haven - Totally LOVE it!" Articles: Find us also in Sanctuary and on the Envirotecture blog. Hempcrete Video: This is a nice little video explaining the main features of hempcrete. Hempcrete is a generic term for an old basic recipe of lime, hemp & water that has been used for decades in Europe for the restoration of old wattle & daub or cob construction. 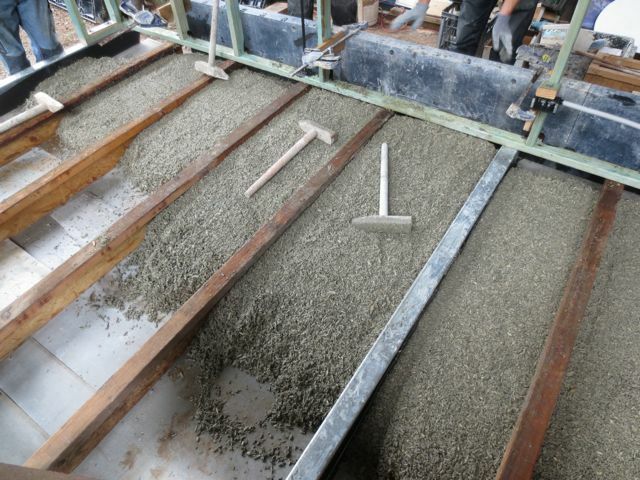 Unlike concrete or masonary, hempcrete does not crack severely under movement. Download Materials Safety Data Sheets, Material Properties Documents and Case Studies all in PDF format for your convenience.